I recently shared our family’s favorite waffle recipe (see awful paleo waffles here), so it’s only fitting that I give you our favorite paleo pancake recipe too! We’re coming to the end of our spring birthday season (my youngest turns three next week! *sniffle*), a period of six weeks where three out of our four boys have a birthday every three weeks on the dot. Right now little man has only requested one thing for his birthday: a purple cake. Though we’ll be traveling this week, I’ll have access to a kitchen, so I’m dreaming of using purple sweet potatoes in a cake. Which makes me think of unicorns and the controversy over the new unicorn drink from Starbucks. Which makes me chuckle. Then I start dreaming of all the gorgeous colors found in real food like beets and what I can do with them. But, whether I make or buy the cake, these pancakes will be on the breakfast table for his big day. This paleo pancake recipe was created for my last guy’s birthday almost three weeks ago and got rave reviews from all my little men. They are the absolute closest to conventional pancakes that I’ve ever made. 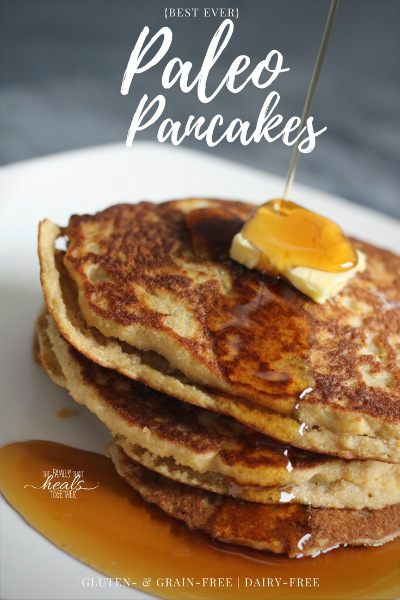 I’ve made every type of paleo pancake recipe imaginable: coconut flour was the first, then I moved on to almond flour, and have since made pancakes from bananas, nut butter, and even butternut squash. Some of them tasted really strong and just didn’t taste like the pancakes we all loved and missed. Others didn’t have great texture. Still others contained inflammatory ingredients that we didn’t tolerate well. 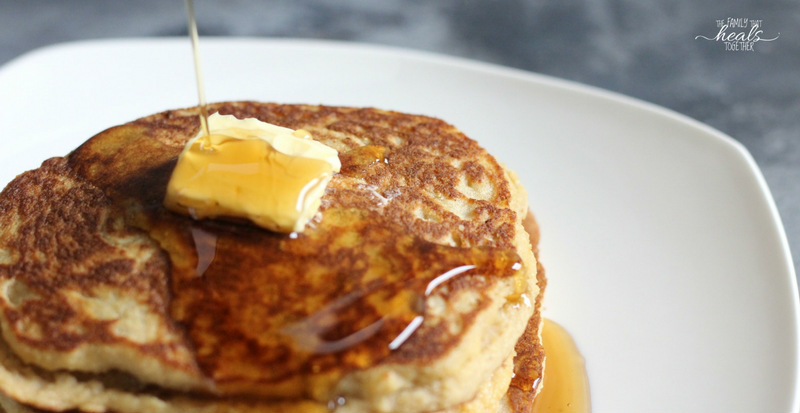 I love that cassava flour tastes and feels more like all purpose flour than any other flour I’ve tried to date, which means these pancakes taste more like conventional pancakes than any others I’ve made. These are officially our favorite paleo pancakes and I’m willing to bet your family will love them too! 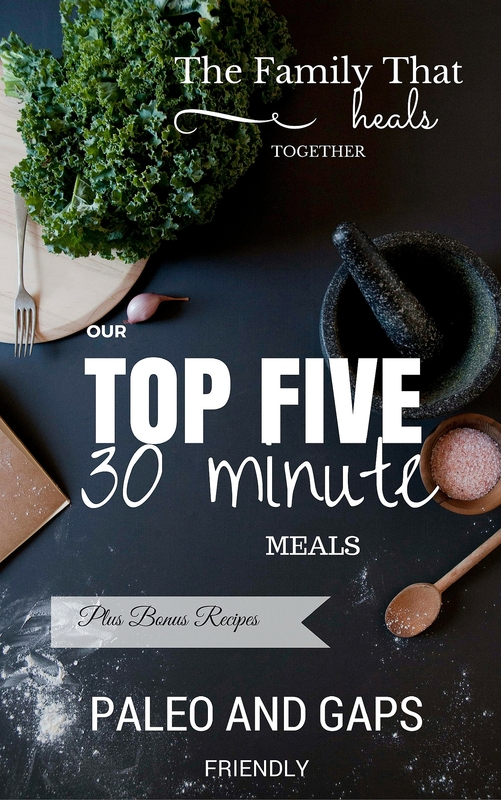 Get my favorite cassava flour here, then grab our family’s favorite paleo pancakes recipe below. Preheat a stainless steel skillet on medium-low heat. Grease with butter or fat of choice. Combine the flours, sugar, baking powder, baking soda, and salt. Set aside. In a separate bowl, whisk the eggs, milk, avocado oil, and lemon juice, then add to the flour mixture. Stir until combined. Pour or spread about 1/4 cup batter onto pre-heated skillet, spacing pancakes at least a couple inches apart. Cook for 2-3 minutes, until air bubbles appear on the top, then gently flip to cook an additional 2-3 minutes on the other side. If pancakes cook too quickly on the outside, but are undercooked on the inside, turn the heat down. Serve with butter and maple syrup for a classic pancake experience. Did them this morning and they were awesome. Even with a small glitch of mixing up the measurements of baking powder n soda, and finally eyeballing what I had to take out! Ah, and added some ground flax. They were super fluffly, very delicious! Thanks for doing the legwork for lazy cooks like me! I’m so glad you enjoyed them Sandra!